This series isn't extinct yet! 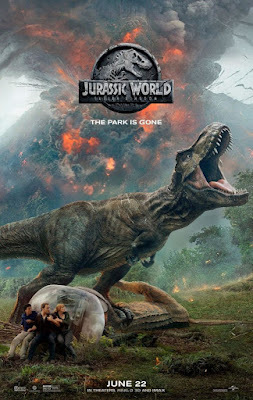 After 2015's Jurassic World finally brought the franchise back in a meaningful and fun way that the previous sequels had failed to do so, it was inevitable we would get another one. And I applaud that, because Jurassic World's setting is too full of routes and ideas that not exploring them would be a criminal. So does the 2018 entry into one of the greatest movie franchises of all time actually revolutionise the series, or just keep it dragging on? Jurassic World; Fallen Kingdom is set 3 years after the previous entry's events, which was the usual death and destruction one should expect from opening a theme park full of giant monstrous dinosaurs, but now events have changed after the discovery than the volcano on the island has become active and is about to wipe out all the dinosaurs. Desperate to keep them alive, Claire Dearing (Bryce Dallas Howard) and Owen Grady (Chris Pratt) team up once again to return to Isla Nublar and save as many species of dinosaur as they can. However, there is a far more sinister plot in the making. Just like last time, the two leads are a mixed bag. Claire is far more interesting than before, due to having an actual dilemma that motivates her but also changes and moulds alongside the plot. As events occur, her stance moves along with it, showing the film is having an impact on her, like all good films should. On the other hand however, Owen is just not that engaging to me. 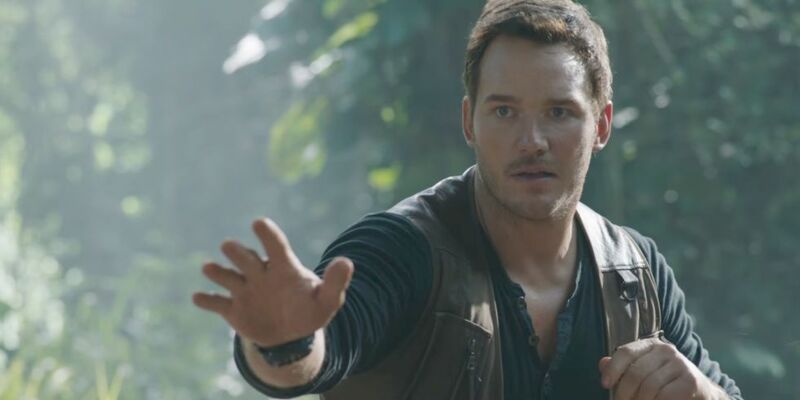 Chris Pratt plays him well enough, including a hilarious yet exciting scene involving his body movement, but the character is written in an overblown attempt to make him come across as manly and strong. His first scene involves him building a random house for some reason, just to show off that he's a hot guy. I have eyes, Jurassic World. I already know he's hot! Speaking of hot, Jeff Goldblum is in this movie! Unfortunately however, he is barely in it. Despite all the advertising the film did with him, Dr Ian Malcolm only appears for two scenes and never does anything meaningful to the plot whatsoever. It's great to see one of the franchise's best characters return, but he is utterly underutilised. Of course, you aren't here to just see some humans. You're here to see some humans run from dinosaurs! 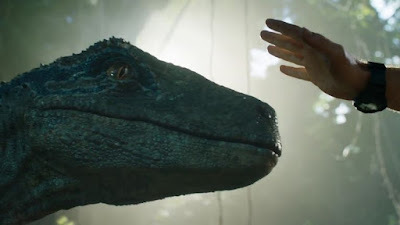 As someone who was literally obsessed with dinosaurs as a kid, it is once again great to see practical effects mix with CGI to create some utterly astounding recreations of historical creatures. Even one of my personal favourites, the Ankylosaurus, gets the love it deserves. The T-Rex, the most important and perfect character in Jurassic Park's history, is great as well but is as underused as Jeff Goldblum. Every scene she appears in is worthwhile, but nothing quite matches her battle with the Indominus Rex from 2015. The other characters in this movie are fine, if not obvious. The funny geek, the deadpan medic, the greedy soldier-hunter etc. Their motivations are slim and obvious, which is a shame for such a fun film. The Jurassic series has always done a great job with story and drama, but I think this film could have benefited from taking their characters to the next level and making them more complex. Sometimes, these characters take actions that really make you feel like screaming, and it feels like weak writing in an otherwise strong film. Just more proof that exercising is dangerous! What isn't weak however is the tension. And no, I don't mean the sexual tension in the romance between Claire and Owen that I am indifferent towards, but rather the dangerous tension of watching a giant dinosaur stalk the heroes as a volcano literally rumbles threateningly to destroy them, or the exhilaration of the volcano itself actually going off and giving us arguably the film's best scene. Oddly enough, Fallen Kingdom felt like I was watching two different films in one. And to the movie's credit, it doesn't clash. The film naturally moves from action to horror, and both of them are exciting enough to be their own movie. If you are not a horror fan, like me, then don't be too discouraged as this might very well be your exception. 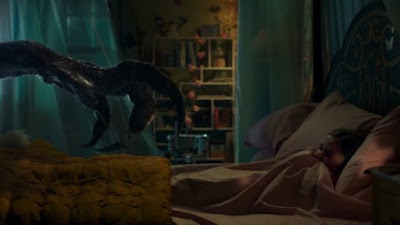 Lastly, I won't give away spoilers if you haven't seen the trailers, but this film's final monster is absolutely fantastic and completely destroys the underwhelming Indominus Rex. The design and colouring made me think of insanity and madness, as if the beast was born a psychopath. It's the Carnage to Indominus Rex's Venom. "NOTHING CAN STOP... THE CLAW!!" Jurassic World; Fallen Kingdom surpasses the previous film to become the second-best in the franchise, balancing out horror and action perfectly. The CGI is sometimes a bit shaky and the characters often feel thin, but the dinosaurs are brilliant and the ending has me absolutely gleeful for the conclusion to this trilogy. Best Performance: Bryce Dallas Howard as Claire Dearing. Best Part: The volcano goes off. Worst Part: Owen is bland but manly. Like the review? The film? Any requests? Comment below! Careful, Owen! 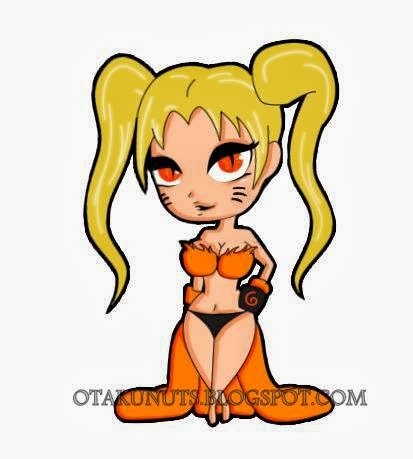 I think she's going to take your watch!